William is the firm's Senior Partner and Head of the Wills, Estates & Powers of Attorney Team. With over 30 years of experience, he is well known for his extensive expertise in a variety of areas. 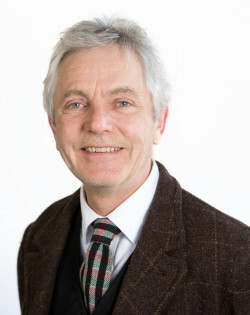 William qualified as a solicitor in 1979 having joined Leathes Prior in 1973. His areas of specialism include residential conveyancing (including agricultural land), trusts and probate, commercial work and advises a number of private individuals, commercial organisations and substantial charitable institutions. Working closely alongside the firm’s Residential Conveyancing and Commercial Property Teams, William provides support to other teams given his extensive experience and diverse client base. William has a formidable and longstanding reputation within his areas of specialism. William has executed every detail meticulously, kept us informed at every stage and has been courteous to us at all our meetings – I recommend your firm. Advice of the highest quality. We have been clients for 25 years and have always had 100% service from Mr Riley. William has a formidable reputation. Vastly experienced, clients appreciate his efficiency and pragmatism. Direct, kind, patient and very knowledgeable. William is frequently and heartily recommended by clients.